Quickly check product ratings and reviews before you buy! With Smart Shopper you simply scan any product’s barcode and instantly see product ratings from multiple countries, consumer reviews and best online prices. Smart Shopper uses complex algorithms to make choosing the right product easy. Using Smart Shopper, as your shopping application, you are making informed choice all the time. This shopping app saves you time and money by helping you choose high quality and long-lasting products. 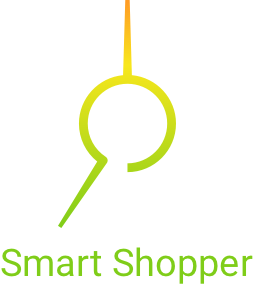 Smart Shopper would save you from the time consuming and often narrow view investigation done on your mobile while you are in the shop. By quickly scanning the barcode Smart Shopper also checks if the product you are looking at is reported to be dangerous or recalled anywhere in the world. Product ratings and reviews give you also long term customer experience feedback. We base our results on a vast amount of data collected worldwide and fitted to your location. Our goal is to improve your in-store shopping experience. Smart Shopper is getting better each day by expanding its data sources with the help of our customer community. Feel free to email us to provide some comments on our application, give us suggestions for new features, or to just say hello!